Texas Children’s lost a dear friend and valued colleague on March 3 with the passing of former chief of Pediatric Anesthesiology Dr. Burdett S. Dunbar. Dunbar served as chief of Pediatric Anesthesiology at Texas Children’s from 1989 to 2004. Dunbar received his Bachelor of Science and medical degrees from the University of Illinois, Chicago. He then served his residency in anesthesiology at the Hospital of the University of Pennsylvania from 1964-66, training under the great Chairman Dr. Robert Dunning Dripps. During his residency he also trained under Dr. John J. Downes at the Children’s Hospital of Philadelphia (CHOP). Downes founded the first Pediatric Intensive Care Unit in North America and later became anesthesiologist-in-chief at CHOP. After residency, Dunbar completed a research fellowship at the National Institutes of Health in the Departments of Anesthesiology and Physiology from 1966 to 1967. As one of the first such fellows ever trained, Dunbar published several landmark articles on the effect of anesthetic agents on ventilation. Dunbar then spent two years as a Captain in the U.S. Air Force at Wilford Hall USAF Hospital in San Antonio, and then another two years as assistant professor of anesthesiology at the University of Chicago, where he was recruited by his friend Dr. Burt Epstein to the Children’s National Medical Center in Washington D.C. in 1971. During his 15 years at Children’s National, Dunbar was promoted to full professor and served as associate chairman and acting chairman. He moved to Houston in 1986 and served as professor of anesthesiology at the University of Texas, Houston, and was on the attending staff at Hermann Hospital until 1989. He then was recruited to Baylor College of Medicine and Texas Children’s Hospital by Dr. Ralph D. Feigin for the purpose of developing an academic pediatric anesthesiology service and department. He did a magnificent job doing just that, starting with three Baylor anesthesiologists including Drs. Nancy Glass and Melanie Alo, and developing a first-class service by growing and developing clinical and academic programs. 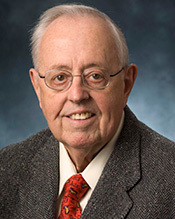 Dunbar earned a high scholarly distinction and a national reputation as the head of our service, and re-established an academic pediatric anesthesiology service at Texas Children’s Hospital, which had been entirely a private practice from 1974 to 1989. The three Baylor faculty grew to over 20 by the time he stepped down as chief in 2004. This paved the way for the current all-Baylor/Texas Children’s Hospital Pediatric Anesthesiology, Perioperative and Pain Medicine faculty of over 80 physicians and 39 pediatric certified registered nurse anesthetists. Under Dunbar’s leadership the research and academic activities of Texas Children’s Hospital Department of Anesthesiology grew exponentially, with hundreds of national research and educational presentations, dozens of publications, and a major national textbook in pediatric anesthesiology. The number of anesthesia cases at Texas Children’s Hospital grew from about 10,000 annually to over 20,000 under his leadership. He recruited many anesthesiologists, including Drs. Dean Andropoulos and Steve Stayer. It was his unwavering support and encouragement that caused Andropoulos to move to Texas Children’s Hospital in 1997 and his continued advice and support that allowed the re-development of the Pediatric Cardiovascular Anesthesiology at Baylor and Texas Children’s Hospital. Dunbar was successful twice at developing leading academic departments of pediatric anesthesiology, at Children’s National Medical Center and at Texas Children’s Hospital. He became an internationally recognized expert and leader in pediatric anesthesiology. In addition, from 1999 to 2003 Dunbar was the interim chairman of the Department of Anesthesiology at Baylor College of Medicine, where he did an excellent job recruiting and retaining clinical and research faculty on both the pediatric and adult anesthesiology services at the Baylor hospitals. In his capacity at that time as chief of anesthesia at the Methodist Hospital, he created for the first time, a surgical intensive care unit, and recruited six intensive care anesthesiologists to direct and staff that unit. He was also vice chair of the Department of Anesthesiology at Baylor from 1998 to 1999. Dunbar was a nationally recognized authority in the history of anesthesiology and in 2002 was named a Fellow of the Wood Library Museum, which is the American Society of Anesthesiologists’ archive of the history of anesthesiology and a very high honor. He also served for 20 years as an oral board examiner for the American Board of Anesthesiology. He was very active in the leadership of the International Standards Organization, which establishes standard designs for critical medical, anesthetic, and respiratory equipment worldwide. Dunbar lectured extensively all over the world and served in a number of leadership positions in the American Society of Anesthesiologists and Texas Society of Anesthesiologists. He also had extensive leadership and committee service at Texas Children’s Hospital and Baylor College of Medicine. Upon stepping down as chief at Texas Children’s Hospital, Dunbar on many occasions gave the pediatric anesthesiology leadership valuable counsel and advice, as well as unwavering support. Dunbar was honored in 2010 when Pediatric Anesthesiology dedicated its library and conference room in his name, as a daily reminder of his contributions to Texas Children’s Hospital. Dunbar retired in January 2011 and was then named Emeritus Professor, attending many department meetings and functions. In 2017, a portrait honoring Dunbar’s tenure as chief of anesthesiology was commissioned and hangs on the third floor of West Tower outside of the Main Operating Rooms. Dunbar is survived by his wonderful wife Kathie Empuscha Dunbar, B.S., R.N., who was an operating room nurse at Texas Children’s for many years. He also is survived by three children, four grandchildren, and one great-granddaughter. He was preceded in death by one child and two grandchildren.